Above the lakeshore are over 10,000 hectares of rugged landscape with mountain lakes, grasslands and spruce-fir forests accessible only on foot, horseback or bicycle. Trails and rustic campsites are the only facilities in this area of the wilderness. A wonderful setting for hikers – a climb to the top of Okanagan Mountain will lead you to beautiful scenic lake views to the west and the Monashee Mountains to the east. A boater’s paradise, this wilderness park dominates the east side of Okanagan Lake between Kelowna and Penticton. Six marine campgrounds and secluded bays and sheltered sandy beaches tucked into the 33 km of undeveloped shoreline make water exploring a true adventure. Okanagan Mountain Marine sites are accessible by water from Okanagan Lake Provincial Park boatlaunch near Summerland, BC. There are no public roads in the park; access to the park is via Naramata, BC or Lakeshore Road from Kelowna, BC. May long weekend – Labour day approx. $13.00 per Party or Vessel per night. Wilderness, backcountry or walk-in camping is allowed at Baker Lake, Divide lake, and Victor Lake in the upland area of the park. Has approx. 48 walk-in sites and boat sites. Camping is also permitted at Buchan Bay, Commando Bay, Goode’s Creek, Van Hyce Beach and Halfway Bay along the lake. Additional camping is allowed at the South parking lot where there are two tables, two fire rings, space for two tents (no tent pads) and a pit toilet. Limited facilities like pit toilets and fire rings are provided at Divide Lake and the marine sites. Pack-in / Pack-out Principles apply. Campfires permitted within provided fire-rings only. Firewood available for purchase from Park Operator when Park Operator available. Popular for day hikes and mountain biking. Pets on leash in campsite okay. Backcountry areas are not suitable for dogs or other pets due to wildlife issues and the potential for problems with bears. No Lifeguards on duty. Swimming plentiful along undeveloped shoreline. Proudly operated by Kaloya Contracting Ltd.
Link to a map of the area to plan your route. Utilize Google satellite imagery to see a layout of the campground and/or surrounding area. First Come First Serve, Overflow Camping, as well as registering on a Waitlist, may be available. Get more info..
Camp on Okanagan or Kalamalka Lake; or in the Monashee backcountry. View BC Parks camping suggestions for the North Okanagan (near the towns of Vernon, Enderby and Armstrong). These Central Okanagan and South Okanagan BC Parks are near Kelowna, Penticton, Okanagan Falls or Oliver. 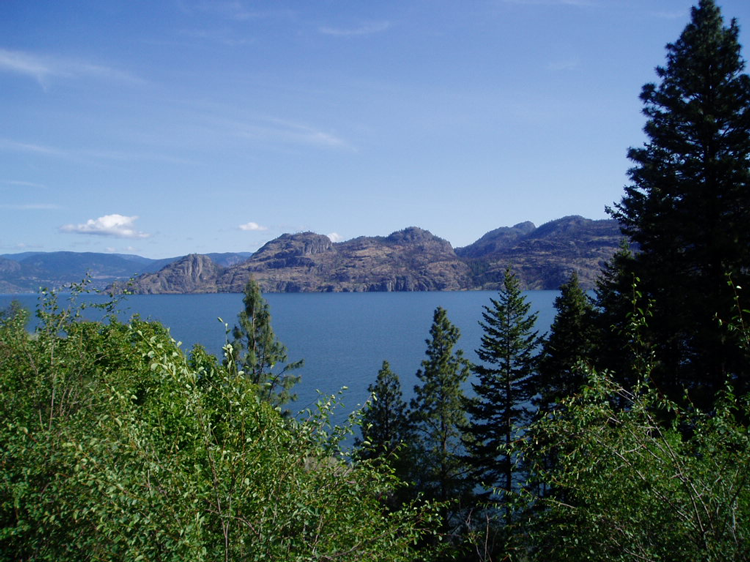 These BC Parks are just west of the Okanagan Valley via the Crowsnest Trail or Okanagan Connector and convenient when travelling the Hope-Princeton Highway 3. You'll be east of the Hwy 5 Coquihalla Summit Recreation Area.